Originally Published in DeneenBorelli.com on 7/10/14. Fresh off winning the Democratic primary race against rival New York Senator Adriano Espaillat, Representative Charles Rangel came out swinging against the United Federation of Teachers for endorsing his opponent. The New York Post reports Rangel is now boosting his support for charter schools as payback. Rangel is hitting the union where it hurts — by vigorously supporting non-unionized charter schools. The unions have been fighting desperately to stop or slow down charter-school expansion. “The congressman was disappointed the UFT [United Federation of Teachers] dumped him for Espaillat. 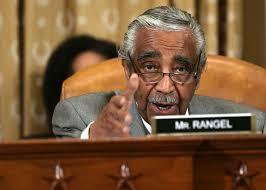 I see Charlie speaking out more forcefully on the charter-school issue,” said a Rangel insider. Charter schools are being hit once again this week, and people are fighting back. Earlier this week, as many as 17,000 thousands advocates for charter schools gathered in New York City, after a successful such gathering last year drew thousands more public school parents. Choice creates competition, and competition will lead to public schools losing their monopolies on young minds. This of course is a very good thing, as it means better educations for every American child. Today, President of National School Choice Week, Andrew Campanella joins me to discuss events happening around the nation to bring attention to the need for educational options and how you can get involved. There has been a lot in the news lately about school choice, but those words, "school choice" can mean many different things. Let’s take a look at some of the different forms school choice can take, and how they have worked for American children. In the last legislative session, Maine Governor Paul LePage pushed education reform changes to help kids in his state. His agenda included tougher teacher and principal evaluations, and the switch to a proficiency-based high school diploma. The legislature did not, however, pass school choice legislation. Yesterday, a school choice work group in Maine met for the first time to determine if and how school choice will be implemented in Maine. As Michigan kids head back to school, things are looking a little different. The cap on charters has been lifted, so there are thirty-one new school choices for families in the state this year. Will Charter Schools Kill Private Education? Maybe, maybe not.Charter schools are changing public and private school enrollment patterns across the United States. This study analyzes district-level enrollment patterns for all states with charter schools, isolating how charter schools affect traditional public and private school enrollments after controlling for changes for the socioeconomic, demographic, and economic conditions in each district.